Notes: A gallery following the leaf-edge. 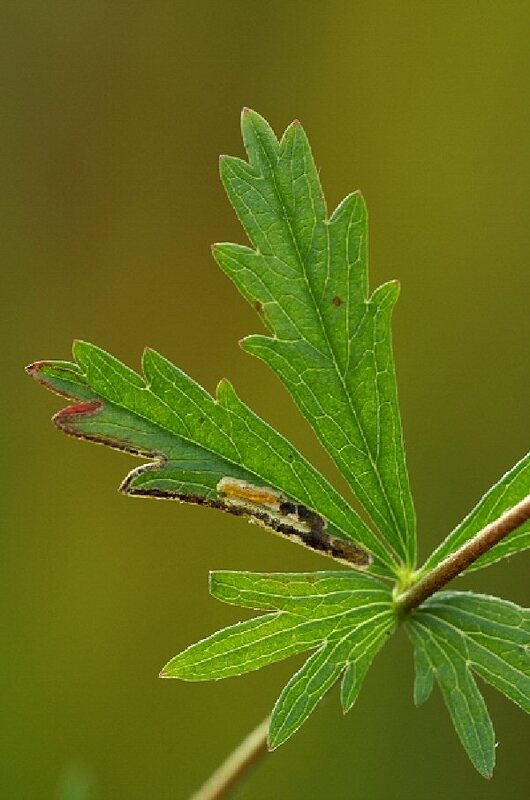 The larva is amber yellow, head brown (whereas S.aeneofasciella is a pale watery yellow). Mine shown is on Potentilla erecta.